In the past couple years, I’ve heard a lot about square foot gardening. It keeps coming up in Google searches and the 500 Gardens program we’re part of recommends it to all of the new gardeners in Madisonville. 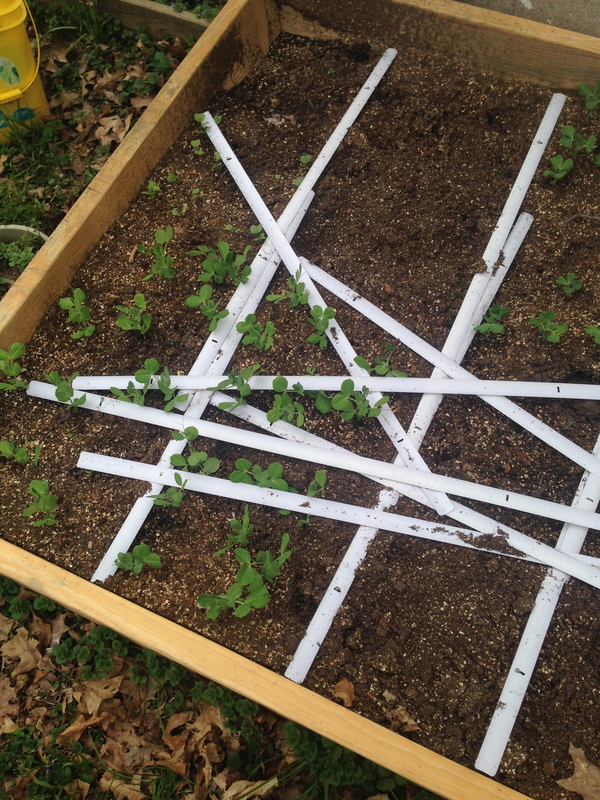 Our garden grid made out of old blinds. So what is square foot gardening? It’s a method that lets you grow more in a smaller space and is great for small gardens. We’ve half-tried this in the past and decided this year to go for it (almost) all the way. The essence is breaking your garden bed into grids — one square foot at a time — and planting one to 16 plants per square foot. How do you decide? 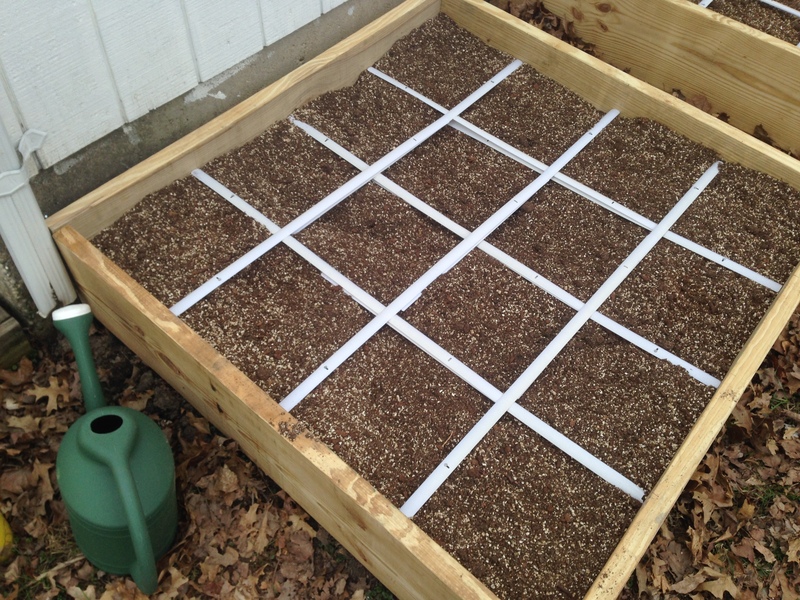 It’s all based on the plant spacing recommended on the seed packet or transplant tag: 3 inch spacing is 16 per square; 4 inch spacing is 9 per square, and so on. This has a good explanation of spacing as well as which plants typically work in which spacing plan. 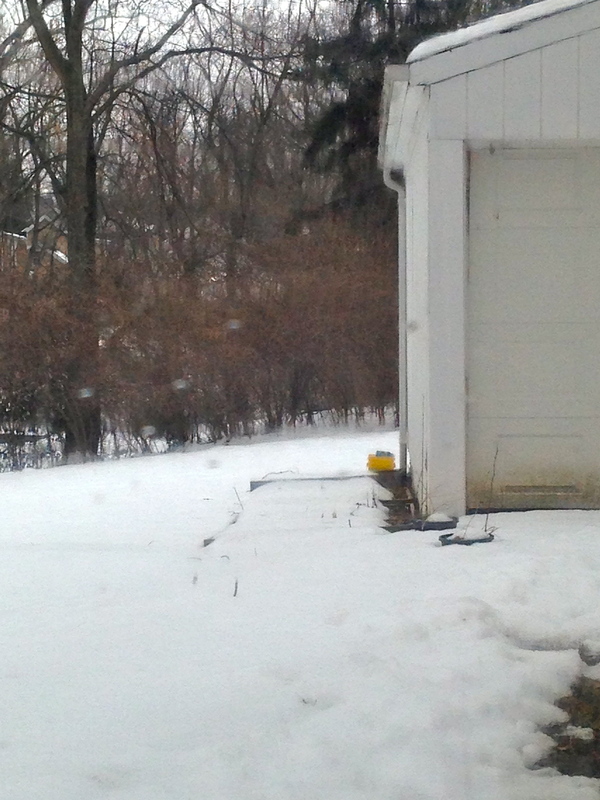 This is what happened to our grid after a storm. It was easy to fix. 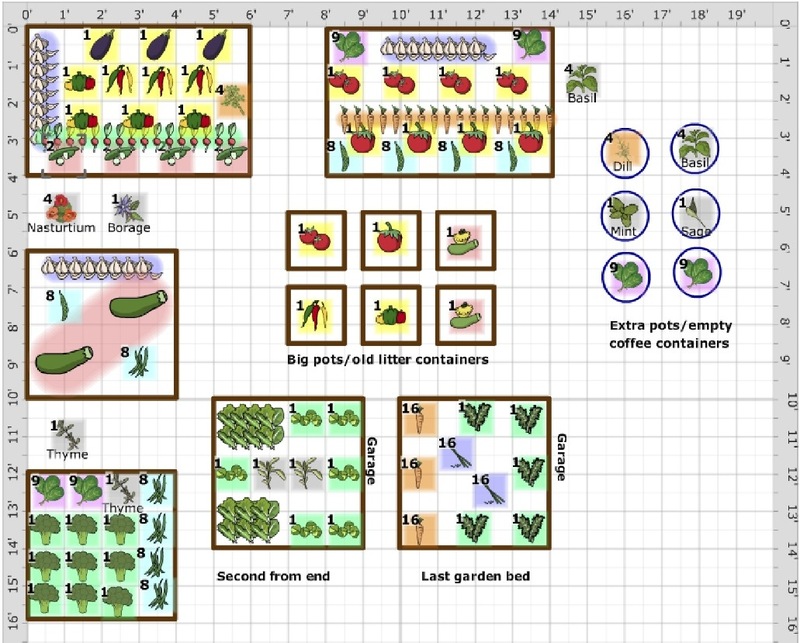 It also helps to have a grid to better visualize where you’re planting everything and the Mel Bartholomew book says you need a grid to be “a true square foot garden.” Even though I think a grid drawn in the dirt would suffice, we decided to make a real grid this year. Our gridlines are actually slats from old blinds that the cats have previously destroyed and they worked out really well. They are “secured” with a nail through the holes already in the slats. I will say the grids helped already. 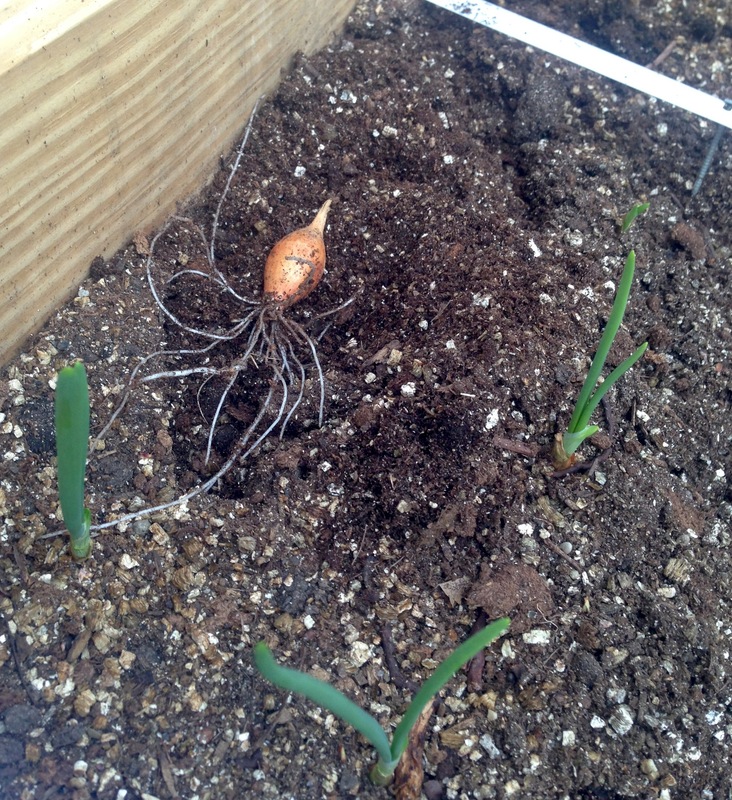 When I was checking on our plants, I noticed a couple of onions weren’t poking through (we had nine per square). I was able to find a few where they were supposed to be but a couple of bulbs were missing. One I found in the next bed over, lying by the garlic. I suspect squirrels are responsible.